A Milwaukee woman's death is drawing attention to the controversy surrounding the practice of ambulance diversions. Tiffany Tate worked at the Medical College of Wisconsin when she suffered from stroke . She worked just 350 yards from the area's best hospital for strokes, but the ambulance did not take her for treatment. Tate, 37, was taken to a different hospital with limited stroke care where she eventually died. 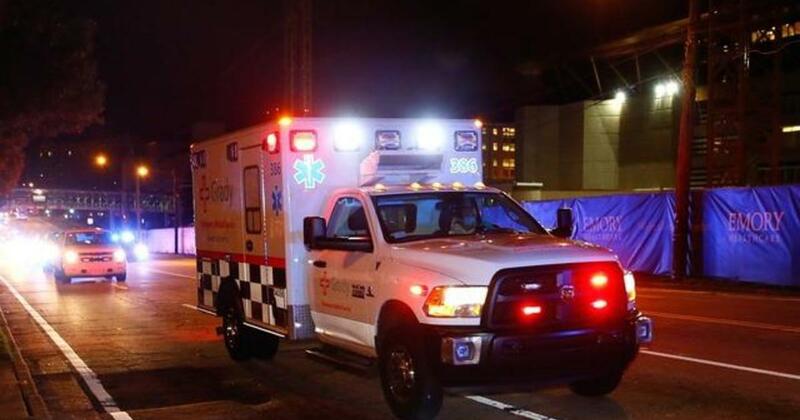 An investigation by the Milwaukee Journal Sentinel looked into ambulance diversions and why it's happening in many of the country's largest cities. Ambulance diversion is a solution to address overcrowding in emergency rooms . Ambulances are directed to other facilities to relieve congestion. But critics say the practice can cause overcrowding to other hospitals, lead to delayed medical care for patients, and can increase travel time to the hospital. As Tate's tragic case highlights, the practice can also have deadly consequences. Investigative reporter John Diedrich from the Milwaukee Journal Sentinel notes that the practice began decades ago and was first only supposed to be a drastic measure to prevent overcrowding at hospitals. However, since then, it has become routine in many communities. "This is not just a problem that happens in the ED but it is the result of inefficiency and crowding throughout a system," said CBSN. "It really is the result of hospitals being inefficient operations that have not been modernized." Medical experts told us that should have been taken to nearby hospital because it was the top stroke center in the area. "They are able to do the level of stroke that is only available at the highest level, not only in the area but across the country and that's really what she needed," Diedrich said. "To be clear, we don't know if she would have survived. Experts were clear on that but everybody could have had a much better chance." "People who drive up or down to ED are required by federal law to be treated so that they have been put in a wheelchair and been rolled over there or brought by a friend, they would have had to care for here, "Diedrich said. 6 of them including nine of the largest, allow ambulance diversion of some kind, though rules governing when patients can be diverted widely. "It's become routine in a lot of communities where one hospital will go on diversion and in response, other hospitals will also go on diversion and pretty soon you have a good chunk of your city on diversion," Diedrich said. "Then you have to force everybody open which happens sometimes or ambulance drivers are frustrated and having to drive around looking for a place to bring patients." Some communities have voluntarily ended the practice of ambulance diversion, but there is currently no federal oversight on the issue. "There's no place in the federal government where this is watched or tracked," said Diedrich, "so that oversight is yet to come."